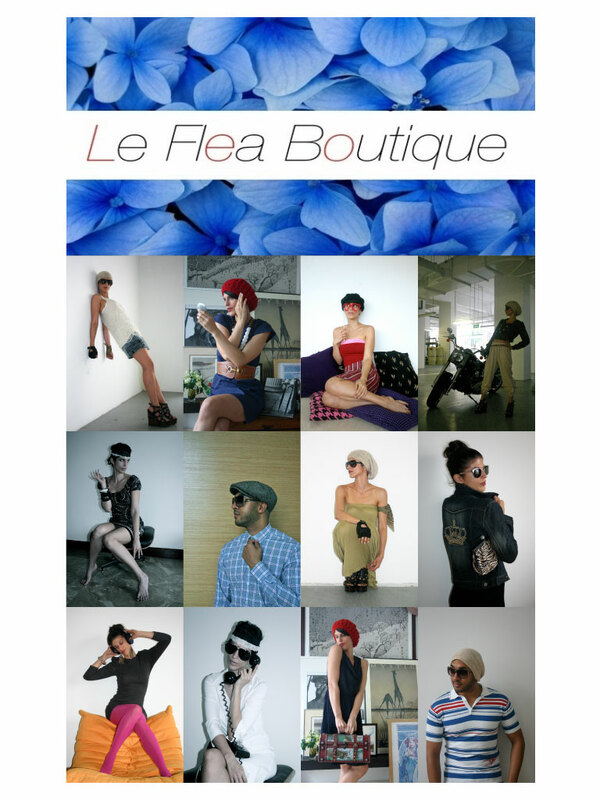 Courtesy shout out for Le Flea Boutique's second sale for charity this year. 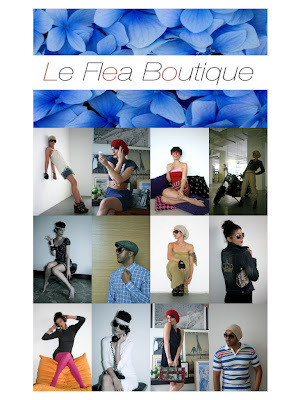 Le Flea Boutique, offering new and gently worn pre-loved vintage designer,high-street and independent label clothing, shoes and accessories for women, newitems and a select range for men and children. Funds raised at Le Flea Boutiquesupport Action for AIDS Singapore, a voluntary, community-based organizationcommitted to AIDS prevention, advocacy and support. WHEN: Sunday 27 November, 11.30am – 5.30pm – the weekend before World AIDSDay which takes place on 1st December. 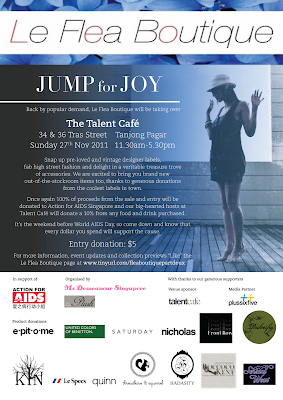 WHERE: The Talent Café, 34 & 36 Tras Street, Tanjong Pagar. 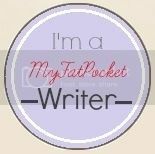 P/S read about my event last Saturday.